Some states require merchants to give cash back when the gift card balance gets low. Find out which ones. Plus tricks on how to use small balances. Get money back when you sell your gift card for cash. First of All…Can a Gift Card be Returned? If you buy a merchant gift card from the merchant itself, you probably won’t be able to redeem it for cash. Most store and restaurant cards state that they are non-refundable and non-returnable. Federal law (the FinCEN Prepaid Access Rule) basically mandates this policy. If you buy a merchant gift card from a third-party retailer (like a grocery store), however, the situation is slightly different. Each retailer has its own policy. Some stores typically don’t allow returns. Other stores, however, will let you return a third-party gift card within a short period of time after purchase so long as you have the purchase receipt and haven’t used the card. 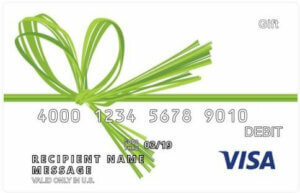 Small amount left on a Visa® gift card? Here’s a Gift Card Hack for Using Small Balance Visa Gift Cards. In some states, if the balance of a store-issued gift card falls below a certain threshold, the merchant is required to redeem the gift card for cash upon request. In California, for example, a card under $10 can be refunded. In Maine and New Jersey, the limit is only $5. In both cases, the gift card balance must previously have been above the balance threshold. And again, these rules do not apply to prepaid gift cards such as Visa Gift Card, Mastercard®, American Express® and so forth. The rules also don’t apply to gift cards that were received via donation or as part of a reward, loyalty or promotional program. So the bottom line is no, a gift card typically cannot be returned nor will your money be refunded if you decide you no longer want a gift card. How Do you Get the Gift Card Balance in Cash? Although many states require stores and restaurants to refund small gift card balances, I have found it is easier to get my money back in some stores than it is in others. The first step to getting money back is knowing the law. Using the list below, find out if your state requires merchants to give money back when gift card balances are tiny–less than a few dollars. If so, then pay attention when you redeem your gift card. If the balance falls below the cut-off line, ask the cashier to pay you the balance of the gift card in cash. Some will do it automatically, others will tell you it’s against store policy and a few will call the store manager over to find out how to do it. Mind you, I’ve never walked away empty-handed when I know the gift card law, but I do sometimes have to explain the law and other times I have to wait. If this happens to you, be patient. Few people ask to get money off of their gift cards so clerks might not know how to perform the transaction. Also, you can ask for the cash back at any time. 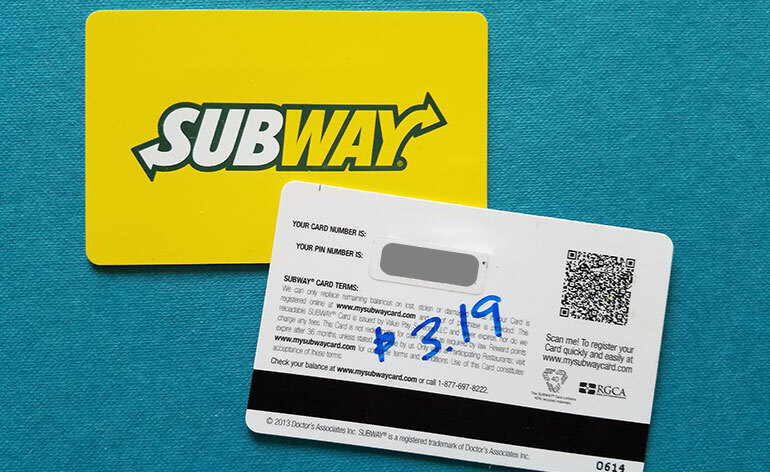 You don’t have to remember to ask when first redeeming the gift card. Next time you’re in the store, ask the cashier to cash out your small value gift card. I’m not a lawyer, so don’t take this as legal advice, but from my research, the states below require merchants to give cash back upon request if the gift card value falls below the state-mandated amount. Links to each state’s gift card laws are provided so you can study the laws in your own state to be sure. California Less than $10 California State Gift Card Law: In California, any card with a cash value less than $10 may be redeemed for cash upon request. This rule applies to store gift cards, but not bank-issued gift cards that can be used anywhere. Colorado $5 or Less Colorado State Gift Card Law: In Colorado, any card with a cash value of $5 or less may be redeemed for cash upon request. This rule does not apply to prepaid phone cards, promotional cards, bank-issued gift cards or paper gift certificates. Maine Less than $5 Maine State Gift Card Law: In Maine, gift and reward cards with a cash value of less than $5 may be redeemed for cash upon request. This rule does not apply to cards with an initial value of $5 or less, prepaid phone cards, promotional cards, bank-issued gift cards, cards issued for merchandise credit, paper gift certificates. Reloadable: Less than $5 Massachusetts State Gift Card Law: In Massachusetts, if the gift card is NOT reloadable and 90% or more of the gift card value has been redeemed, a merchant must give the consumer the choice between receiving cash OR maintaining the remaining balance on the card. If the gift card is reloadable (the holder can add value to the card), the merchant must still give the consumer the option to receive the remaining balance of the gift card if the value is $5 or less. This rule applies to one-time use and reloadable gift cards, but does not apply to prepaid phone cards or bank-issued gift cards. Montana Less than $5 Montana State Gift Card Law: In Montana, gift cards with a cash value of less than $5 may be redeemed for cash upon request if the original value of the card was more than $5. This rule does not apply to prepaid phone cards, reward cards, loyalty cards or bank-issued gift cards. New Jersey Less than $5 New Jersey State Gift Card Law: In New Jersey, gift cards with a cash value of less than $5 may be redeemed for cash upon request if the original value of the card was more than $5. This rule does not apply to prepaid phone cards, bank-issued gift cards or cards issued for merchandise credit. Oregon Less than $5 Oregon State Gift Card Law: In Oregon, gift cards with a cash value of less than $5 that have been used at least once may be redeemed for cash upon request. This rule does not apply to prepaid phone cards, promotional gift cards or gift cards redeemed online. Puerto Rico Less than $5 Puerto Rico Gift Card Law: In Puerto Rico, gift cards with a balance of $5 or less can be claimed from the issuer or the card in cash. 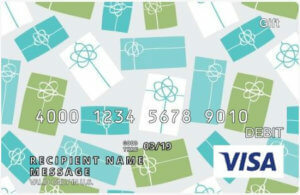 This rule does not apply to certificates issued on paper, telecommunication prepaid cards, open loop gift cards, reloadable cards that are not marketed or identified as a gift card, or cards issued as part of a price or promotional program and that do not require disbursement of monies in exchange. Rhode Island Less than $1 Rhode Island State Gift Card Law: In Rhode Island, gift cards with a cash value of less than $1 after being used may be redeemed for cash upon request. This rule does not apply to prepaid phone cards, reward cards, loyalty cards or bank-issued gift cards. Texas Less than $2.50 Texas State Gift Card Law: In Texas, retailers must provide cash redemption on gift cards that have a value of less than $2.50. The law only applies to gift cards used to make in-person purchases (i.e., not online). The cash redemption is not required if the initial value was $5 or less and the customer couldn’t add value to the card. This rule does not apply to prepaid phone cards, reward cards, loyalty cards or bank-issued gift cards. Vermont Less than $1 Vermont State Gift Card Law: In Vermont, unused portions of expired gift cards may be redeemed for cash upon request. 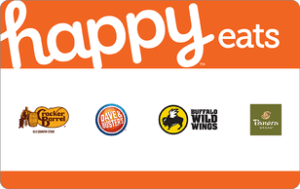 Gift cards with a cash value of less than $1 may also be redeemed for cash. Washington Less than $5 Washington State Gift Card Law: In Washington, gift cards with a cash value of less than $5 may be redeemed for cash upon request. Ask anyway. While your state may not have a gift card policy to give cash back, the merchant might. I am often surprised when a cashier offers to give me cash back for the balance of my gift card before I even ask. Granted, I live in a cash back state, but many large merchants simply apply the California policy (cash refunds for balances less than $10) nationwide. Having one rule makes it a lot easier for the merchant to train its employees. Buy something more. This isn’t my favorite choice, but I would rather spend a few extra dollars than hold onto a bothersome balance that I may forget to use or get tired of carrying in my wallet. When at the cash register, throw a pack of gum on the conveyor belt or add a candy bar to the total. Spend as little as possible to get above the gift card balance so the card will be fully redeemed. Apply it to your account. If the merchant allows you to add a gift card to your online account before redeeming it, then simply redeem the card, add the balance, and apply it to a future purchase. Amazon and iTunes both work this way. You can redeem a gift card and then just chip away at the balance every time you make a purchase until the money is gone. 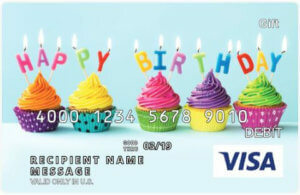 Buy an egift card with a Visa gift card. This is a combination suggestion from the two prior options. I have purchased Amazon.com egift cards using small Visa gift card balances. For example, if I have $3.71 left on a Visa card, I can use it to buy a $3.71 Amazon egift card ON the Amazon.com site. (Note: this only works if you buy directly from Amazon and the dollar amounts are the same.) When the Amazon egift card arrives, redeem it and apply it to your account. Next time you make a purchase, the money will be available. Donate the balance. For some merchants, a “minuscule” amount may still be double-digits if you can’t redeem the balance without spending a great deal more money. If you have a gift card worth $15 or more, donate the unused portion to charity through Cardpool’s association with Compassion International, a Christian child development organization that assists children who are living in poverty. Check to see if your gift card qualifies at CardFunder.com. I think that’s all I have for you now. I’m sure that more states will be added to this list as lawmakers see the value in allowing consumers to rid themselves of pesky gift card balances. I will update this post whenever I find a new way to use the remaining balance on a gift card. If you have other suggestions, leave a note in the comments or reach me at @GCGirlfriend on Twitter.